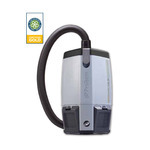 ProTeam is recognized as the original innovator of lightweight ergonomic backpack vacuum cleaners. Through continued research and development, our mission is to be the premier manufacturer of high performance vacuum cleaners for every commercial cleaner’s need or preference. Today we have 19 different vacuums for all cleaning applications. Experienced Jan/San Professionals Our company was founded in 1987 by experienced cleaning professionals looking for a way to work more productively and sustainably. Worker and building occupant health have been guiding forces that go into every vacuum we make. 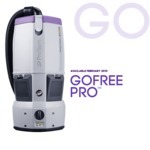 All ProTeam vacuums have advanced Four Level® Filtration systems and comfortable ergonomic designs. Founded on Education We have directly or indirectly published hundreds of articles and research papers outlining the operational and Cleaning for Health® benefits of our backpack vacuum technology. We continue to market our products through education, and believe in promoting highly productive programs such as Team Cleaning® to help customers do more with less while enhancing health and safety. Full Line of Commercial Vacuums ProTeam’s success in the commercial cleaning industry, driven largely by our resolve to educate the marketplace, effectively positioned us to expand our product line to embrace a full line of vacuums—including hip-style, upright, canister and HEPA Level Filtration™ machines.